Education is central to our approach to farming, and we strive to create space for people of all ages and stages to engage in immersive, meaningful experiences on our farm and the surrounding land. Camp Bread & Butter is a week-long journey through the worlds of farming, cooking, outdoor survival skills, crafts, archery, and epic group games guided by a talented and supportive farm and wilderness education team. On this beautiful land between the Green and Adirondack mountains, campers ages 5-12 learn through farm chores, guilds, and games, the joys of participating in the outside world. Through the magic and fun of summer on the farm, we work together to illuminate the connections between land, plants, animals and people that nurture healthy communities. 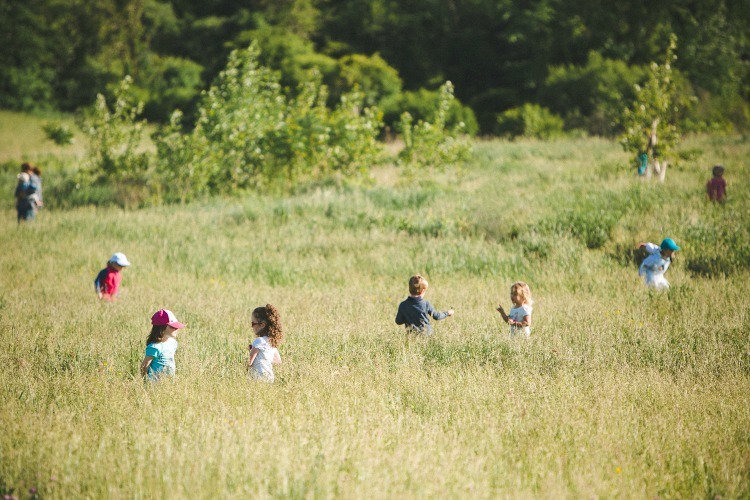 Village School invites kids to explore our farm and forests every Wednesday during the school year, all day long. 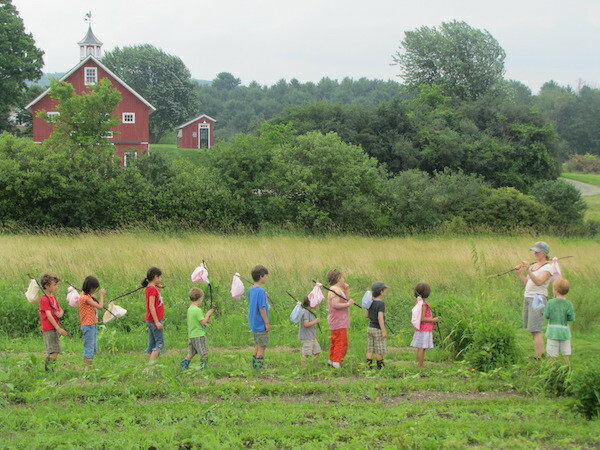 During Village School, kids sink into the rhythm of farm life while exploring over 100 acres of forest, fields, pastures, savannas, and marshes in Shelburne, VT. We welcome children ages seven to eleven. Music For Sprouts strives to nourish our children, families and communities by exploring and expressing our connection to nature and to each other through music and movement. These classes are about exploration, and every sprouts style of interaction is different and ever changing. Some sprouts may be silent observers, while others might add their own spin to the activities! Classes are for children ages 0-5, and family participation is welcomed. The Schoolhouse Learning Center is a small non-profit secondary school and pre-school that is located just 1 mile from our farm. We partner together to bring students on-farm experiences connecting farming, the surrounding forest, pastures, and wetland ecosystems, and food. As farmers with a background in teaching, we make a place for people of all ages to continue to engage and learn on our farm. For older students and adults, this often takes place through our partnerships with outside programs, including the University of Vermont's Farmer Training Program.